The Whitworth’s education team are currently busy preparing the new learning programmes that will be available when the Gallery reopens later this year. 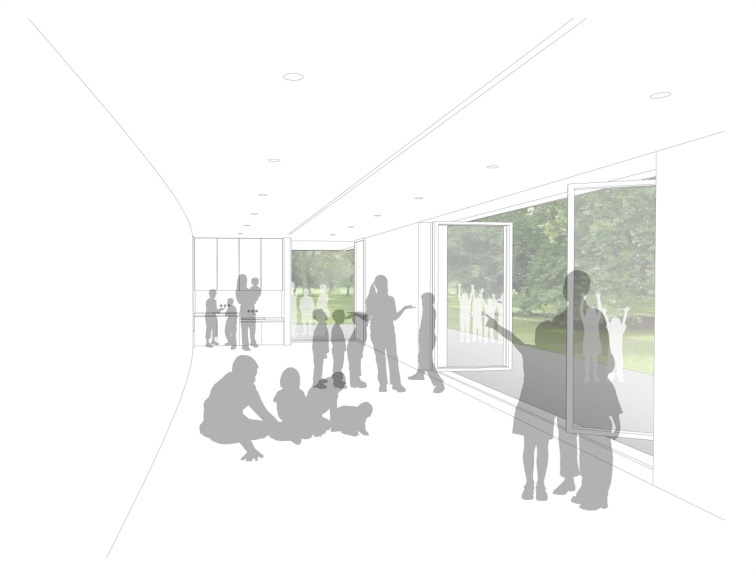 However in the meantime they have been developing projects with local schools and groups that will provide inspiration for ways the new learning studio and art garden can be used.This week Primary school co-ordinator Steven Roper talks about his recent experience of organising school workshops in Whitworth Park. During the Whitworth’s closure, we have used the time away from the gallery to explore the many ways we can connect to the park and it’s unique spaces. Having an upcoming art garden (designed and developed by Sarah Price) gives us an opportunity to take inspiration from our collections and connect them to the outdoor environment. Likewise, we can take outdoor learning ethos and provision back inside and into our Learning Studio that will enable us to craft, build and create with resources and materials previously not suitable within an exhibition and display environment. Back in February we hosted, alongside Manchester Museum and Manchester Art Gallery, the Cheshire Schools Arts Week, which was based on the theme ‘Landmarks’. In the Park we set a simple and open brief encouraging children, from reception class to year 5’s, to construct their own landmarks in teams. This child led session had elements of discovery and exploration within the park and it’s spaces as the children from Cheshire gathered natural resources ready to sculpt with. Using our ‘Wicker ‘Ma’am’ as a catalyst for form and structure, the children began using green willow (a material that if planted correctly, will continue to grow) to form skeleton shapes that filled out using their own gathered materials. One of our objectives in the future is to grow our very own resources where we can extract colour from flowering plants such as woad. Together, we can provide a palette of colour choices for our participants and visitors, with sustainable and environmental messages, and experiment within our Learning Studio as we can all do with more colour in our lives and soon we will have the right space to discover these processes.